API 1169 Certification Required for Pipeline Inspectors According to Atlas API Training. Projected hiring increase requires new inspection certification for those professionals in the petro chemical and power industries. Houston, TX, July 26, 2016	(Newswire.com) - Atlas API Training, an international leader in advanced certifications in the petro chemical and power industries announced this week that the new API 1169 certification will be mandatory for all inspectors by 2018. Hannon McLeod, president of Atlas API Training stated that “across the pipeline industry there are reports that the API 1169 certification is a factor in determining who gets hired and how doesn’t.” On February 18, 2016 several major pipeline associations announced their support for a program to ensure that pipeline inspectors doing work for the members of the trade groups be certified by 2018. The American Petroleum Institute's RP 1169, Recommended Practice for Basic Inspection Requirements for New Pipeline Construction is the required certification. Atlas API Training Is presently developing an online course designed to prepare an inspector for the API 1169. The course will be available within 60 days. Company and volume discounts will be available. Established in Houston in 2014 by Hannon McLeod and Oran Lewis, Atlas API Training provides online petro-chemical and power industries exam preparation courses for advanced industry certification. 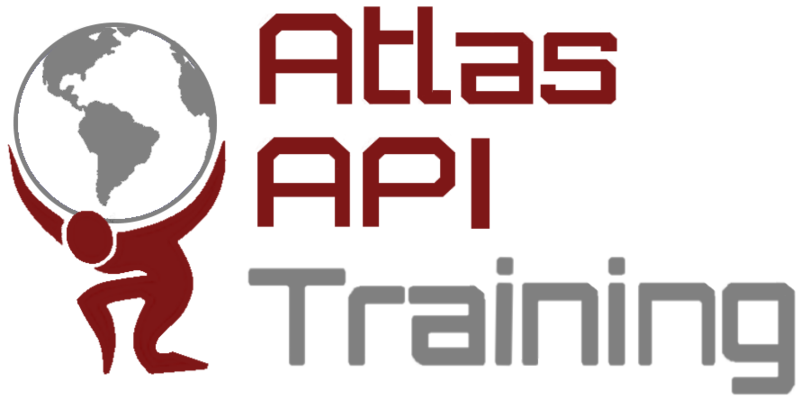 Over the past two years Atlas has received multiple requests to expand their offering of advanced API certifications and is now developing additional industry specific training courses that will soon be available.